Recent educational and psychological research studies have shown that the traditional one-size-fits-all approach to education is ineffective at best, and often detrimental to the learning process. 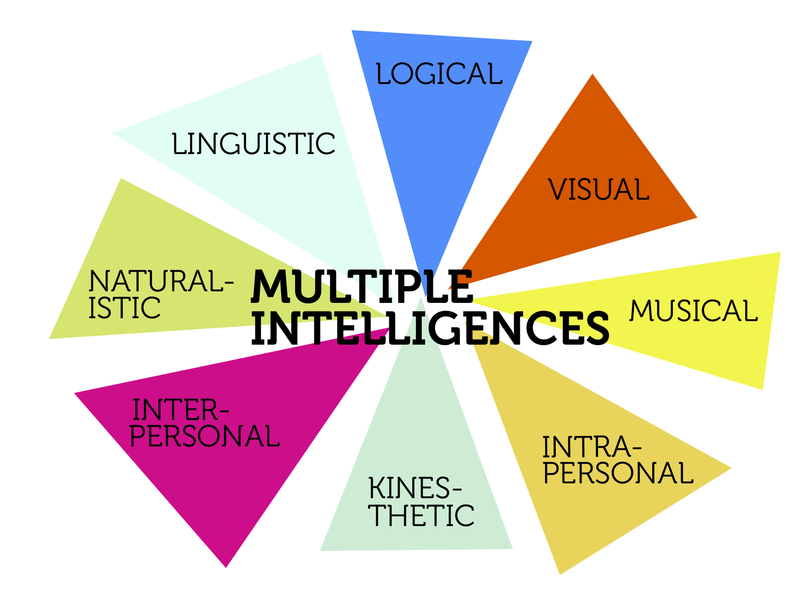 When considering differences in how each student learns, teachers may reflect on the multiple intelligences theory developed in 1983 by Howard Gardner. In this theory, the idea of a single intelligence quotient (IQ) is challenged. This theory instead proposes that each person has multiple types of intelligence. Each of these different types represents specialized ways of processing and interpreting information, informing in turn how each of us learn. As technology is increasingly used in the educational process, it is becoming a more powerful tool in putting the multiple intelligences to use. The purposeful and thoughtful association of technology and Gardner's multiple intelligences theory can benefit both students and teachers throughout the learning process. Verbal-linguistic intelligence refers to the use of oral or written language to store, process and transmit information. In the educational setting, this type of content is developed through written and oral explanations and descriptions. Highlighted keywords, sidebar definitions and audio recordings are also used to delineate this type of information. The tech tools that can be used to enhance verbal-linguistic intelligence in learning include storytelling apps, which offer narratives, scenarios and discussions for younger learners. Older learners benefit from blogging about a particular topic. The group discussions, feedback, notes and highlighting of crucial points also helps this learning style. Online resources with relevant subject matter can be utilized by instructors in order to cater to this type of intelligence. The logical-mathematical intelligence is the ability to solve abstract problems, make mental calculations and develop equations and proofs. This intelligence is often used on tangible and question-based projects such as when a teacher presents a problem and provides the resources needed to solve it. The technology tools used in logical-mathematical intelligence include spreadsheets, databases, online survey tools for gathering and analyzing data, and even online tools and apps that create digital or printable timelines. Google Drive and the associated applications are examples of a whole range of resources available for collecting data in online forms, creating spreadsheets, building charts or graphs and analyzing the results. Musical intelligence is the use of music and rhythm to learn. This intelligence enables learners to produce and understand the meaning of different types of sounds. In the classroom, cross-curricular projects can incorporate music, such as making a melody to go with a written poem or story. There are powerful online tools for creating and collaborating and inexpensive apps like GarageBand that allow learners to record and edit audio files. Music has never been more readily available for listening and analysis, thanks to popular streaming platforms like SoundCloud and Pandaro, with some apps also providing comment areas or forums for discussing musical clips. In bodily-kinesthetic intelligence, the learner gathers intelligence by doing an activity. This process involves expressing and presenting ideas through movement and the body. There are platforms available to today that expressly combine motion and learning. Some of the other technology tools used in bodily-kinesthetic intelligence include apps for tablets and smartphones that cater to a student's tactile senses and abilities to manipulate objects. Coding tools such as Scratch allow students to create video games with a drag-and-drop programming language. Increasingly popular codable little robots combine logic and kinesthetics intelligences. Visual-spatial intelligence is the use of visual sources for learning and interpreting information. It also includes the ability to perceive and analyze objects in space. This learning style incorporates visual resources to interpret information. Some of the tech tools used in this process include gamification, such as Minecraft and the building of virtual civilizations and architectural works. Trello is an online tool for mapping ideas and visual brainstorming. Photoshop and numerous other tools are used to create, manipulate and edit images. Interpersonal intelligence is the ability to connect and interact with others. In this intelligence, people are able to recognize and understand the moods, intentions and motivations of others. Some of the tech tools for this learning include working on collaborative team projects, videoconferencing tools like Skype and social media for discussion of current events. Intrapersonal intelligence is the understanding of oneself and the activities that trigger introspection and reflection. Some of the top tech tools for this intelligence include blogging or discussion forums for documented reflection, tools that can be used to create artistic expression (music, art work, poetry, etc. ), concept mapping with various apps, or simply using search engines like Google to research interesting topics that inspire introspection. Naturalist intelligence is the ability to identify and distinguish living things and natural processes like the weather. There’s a whole range of tech devices, tools and online resources that can be utilized to cater to this particular intelligence. Smartphone or tablet cameras can be used for recording the natural world. Online videos and photos allow learners to become familiar with natural entities. Databases and spreadsheets are useful for cataloging and documenting discoveries and insights. Examining the multiple intelligences theory from an ed tech perspective reveals many benefits for the learning process, for both educators and learners. Everyone possesses all of these eight types of intelligences to some extent or another. Tapping into these intelligences in our students can help teachers achieve improved results in the classroom, and later in the professional and day-to-day social world. Patricia Dimick is a freelance writer, stay-at-home mom and a bit of a tech freak. She enjoys exploring and writing about the innovations in the digital world and share her insights with like-minded people. Feel free to reach her @Patricia_Dimick. Interesting.While reading the article I tried to figure out which types of intelligence refer to the activities I do with my classes. Hi Sandy – I checked the link and it looks the site itself is no longer running. I’ve pulled the link. Thank you for writing this post. It is tremendously helpful. However, the “gamification” link seems to be broken. Could you please fix that? I think that when it comes to today’s smartphones and learning, we should seek to find a balance. There should times when students are asked to put them away, or maybe even have them collected at the start of class, but there should also be opportunities to use the devices to complete assignments and learn. Despite being “digital natives”, many students do not know how to effectively research using these devices, and their communication skills leave a lot to be desired. Our schools need to step up the effectiveness with which we help students learn how to collaborate and create with technology, and these devices offer an opportunity to do so. Hi! 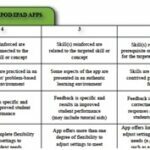 I really enjoy reading your blog about utilizing emerging technology in the classroom. However, I am curious how you feel about students utilizing cell phones?There is no question in my mind that cell phone use should absolutely not be allowed during the school day. No one could really sway me on this. Despite the few benefits of students having them on in school, the cons in my eyes completely outweigh pros. From a personal stand point, I know that when I even feel slightly not amused, my first instinct is to take out my phone. Being 28, I am at the point in life where I can resist this urge and focus on the task at hand. I think we can all agree teenagers do not have this same self control. Cell phones would be a huge distraction. Even if teachers were using them for educational purposes, I feel that most students would abuse this. It is impossible for a teacher to walk around and monitor 25 students and what they are actually doing on their phones. In between using the phone for a lesson, a student could EASILY be accessing Facebook, Instagram, or any other social media sight they feel like checking. Teenagers have every other hour and minute of the day to use their cell phones. For the 6 to 7 hours they are at school, it would do them a lot of good to put them away and communicate with other humans face to face. Thanks for the feedback Naomi and Sarah. Glad you found these ideas helpful! The resource is awesome. As a classroom teacher, I find it beneficial as it caters for all learners needs. I’ll definitely use the ideas shared. This is a great resource for educators to refresh their take on the eight multiple intelligence’s. You provide very simple, yet overlooked, ideas to help teachers incorporate into their classroom. I look forward to incorporating some of your ideas into my own classroom.